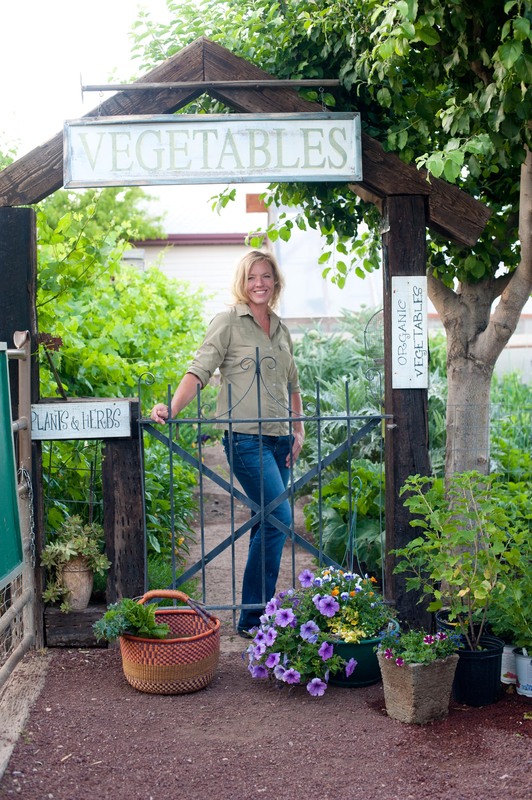 With the Emergence of Spring Everywhere, It’s Time to Plant! 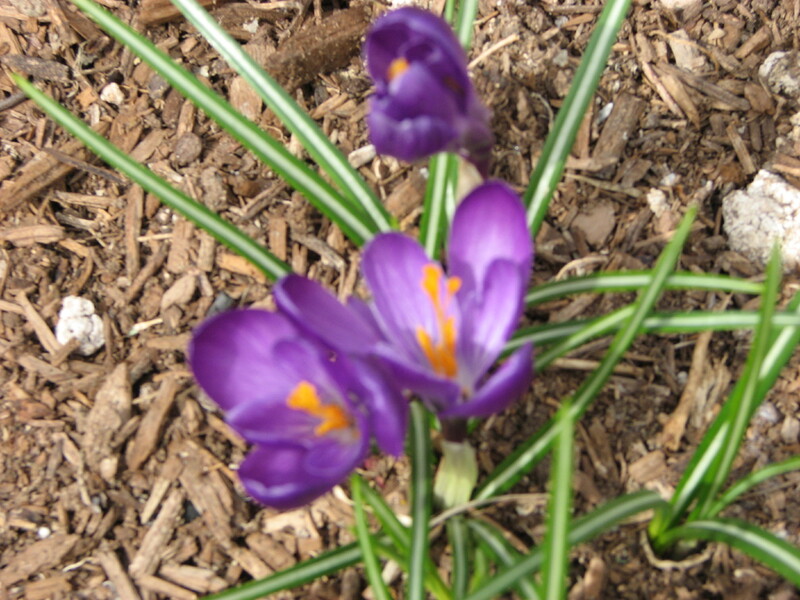 Crocus are the fist to bloom! Our long winters nap is over! Although we still have those cold blistery winds, freezing temperatures, it’s time to start our spring garden chores. The blank garden beds are starting to be amended, bulbs poking through the ground and plum tree buds are starting to swell. Some of our first chores are to clean out the perennial beds from fallen and blown in leaves from autumn, prune the roses and apply a layer of mulch to the barren soil. Our garden beds are turned, but not before adding plenty of compost, greensand, phosphate, and nitrogen. Once the beds have been amended they are carefully leveled out to take on their inhabitants for the spring months. Peas, lettuce, spinach, brassica crops, fava beans and plenty of other cold hardy spring crops are put in at this time. Keeping them moist so seeds germinate is very important, especially when the winds so easily dry them out. We are fortunate in our zone 8 to start our gardens earlier than other colder zones. When that first robin bird sings his song, the spring fever hits. Pruning of fruits trees and a heavy spraying of dormant oil should be done before buds break. We always find several praying mantis eggs while pruning and these are removed and placed in a protected spot in the garden before being coating with the tree oil. 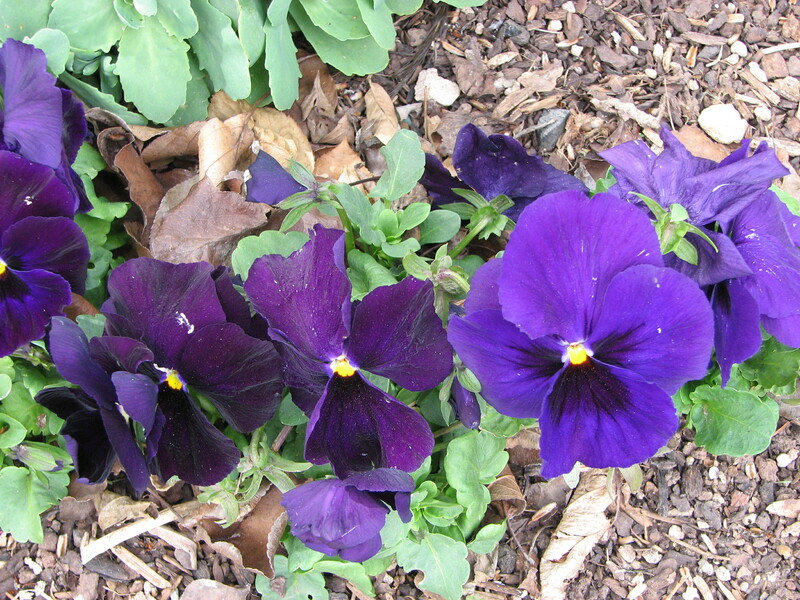 Pop in some pansies around your flowering bulbs for more spring color! It’s only a few weeks away before many of the spring bulbs begin to show color and so we always pop in some pansies for more color. Once the roses begin to grow their bronze, tender spring leaves it’s time to give them a couple healthy handfuls of alfalfa meal to help them develop nice big blooms. Be careful not to prune boxwood shrubs or other evergreen shrubbery to early in the freezing season or to late when its hot or they will burn. We prune ours the end of February here. When the forsythia blooms it’s time to apply pre-emergent corn gluten to prevent weeds from germinating in established beds or lawns. Not only will it keep weeds down but it will also give your plants a good spring feeding. Our chickens love the days getting longer and begin to lay once again those beautiful shades of dark brown, tan, green and blue eggs. They will scratch the earth and stretch out in the sun all day long until dusk when they return to the safety of their coop. We couldn’t do our little farm without our chickens. Their manure adds to the richness of the compost, the egg shells get planted around the rose bushes or with tomatoes at the time of planting and sometimes they get fed to the worms in the worm bins. And once you have had a farm fresh egg you will never want a store bought again! Besides, there is nothing more relaxing then watching these feathered friends running around the orchard doing what they do. Today we will be planting onions around the perimeters of our raised beds, usually over five-hundred plants. half of them being Walla Walla and others of red, yellow and white varieties. I have always preferred the little plants over bulbs because they always do better, get bigger and I have less of them that get thick necks and go to seed rather then produce a bulb. They will get a little extra nourishment from a side-dress of composted manure. Always cut back some of the green tops and root system before transplanting. This will help them get a better start! They have a tendency to die back a little anyway, so why not hasten the process and let them get growing! Casper is a little poser! 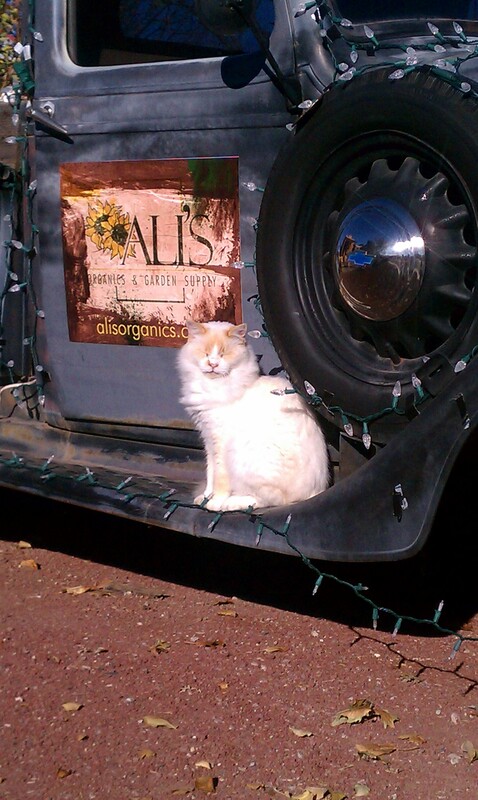 And we can’t forget to report on Casper the Perfect Cat! After having teeth issues last summer and now no teeth (outside of two for decoration purposes only) he has gained 3 whopping pounds! Not all of us would be happy about that! He is on a special soft food diet, but after his repeated attempts to sneak down, and I mean sneak, low to the ground and all, to the neighbors to get his fix of hard food we now have to give him what he demands! Hard Purina cat chow!